Training themselves to be competent surgeons was the toughest part recalls Nadeem, the elder of the two. The two of them, have now attracted other enthusiasts who volunteer their time to come and help them during the surgeries. 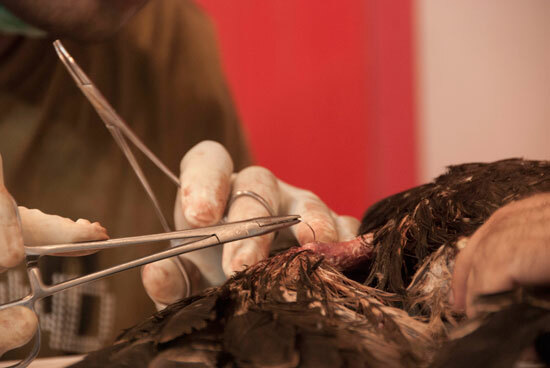 Nadeem and Saud are two brothers who are self trained surgeons, and treat birds cut and injured by kites. 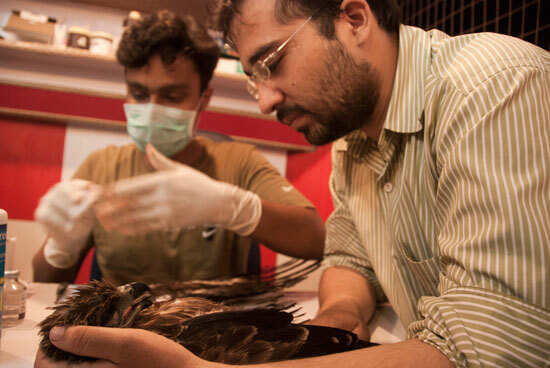 Here Saud operates on a kite cut by the manjha while a voluntary help looks on. 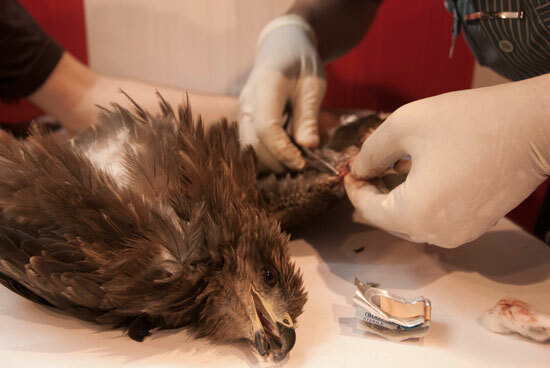 After the surgery the kites required a shelter while they fully recoverd from the injury. Nadeem and Saud’s terrace fenced on four sides, serves as one. The top is left open with the hope that once the birds can fly they will leave. Pictured is Nadeem sitting in the shelter. Recently the Delhi Government has banned the use of metal wire are strings, to counter the danger of electrocution. Chawri Bazaar takes its Independence day celebrations very seriously. This year, it falling in the middle of Ramzan never deterred eager kite flyers to go up terraces and engage in kite fights. A PIL has been filed asking for a ban on ‘manja’. 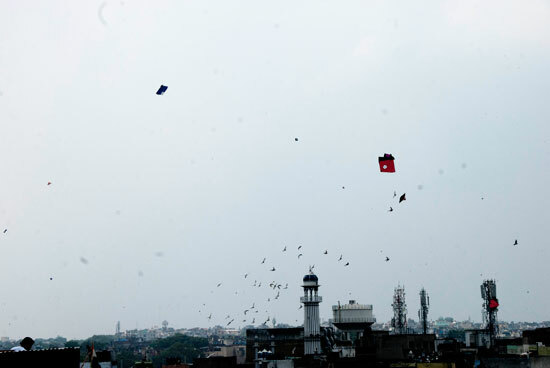 While the courts contemplate, Old Delhi still rejoices on Independence Day, and kites litter the sky. 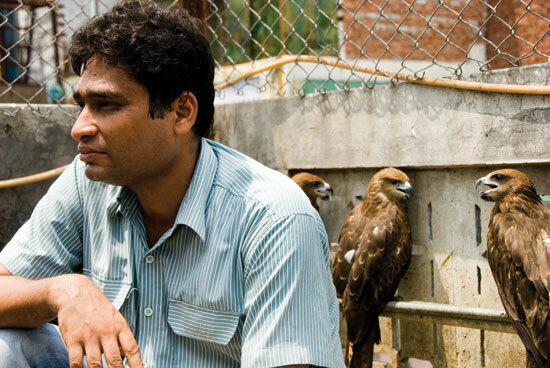 Their Lawyer Mayank Vikas insisted that they weren’t against kite flying, but the danger the ‘manjha’ posed to birds. 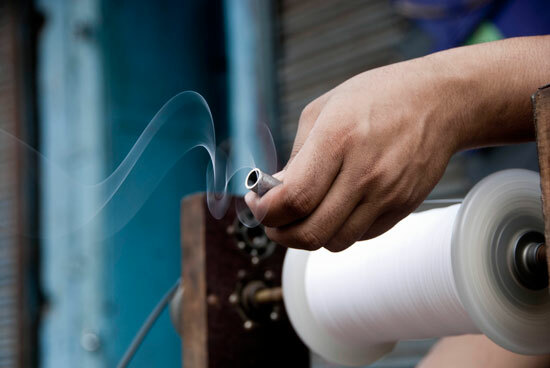 An alternative for which, the regular cotton thread (saddi) was readily available. The two brothers run a family business where they make metallic soap dispensers and nozzles. 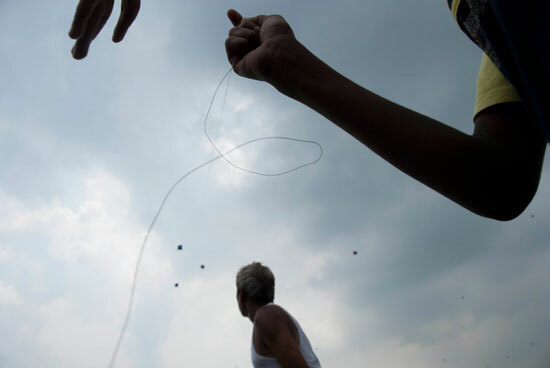 Kite flying, and fighting is traditionally a highly competitive sport in certain parts of the country. Traditionally during Independence Day Delhi skies are alive and full of kites. They do this without any aid from any agency. In doing so they spend about, Rs 5000 every month. 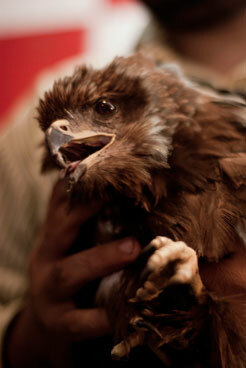 Recently they registered their endeavour Wildlife Rescue with the state government. 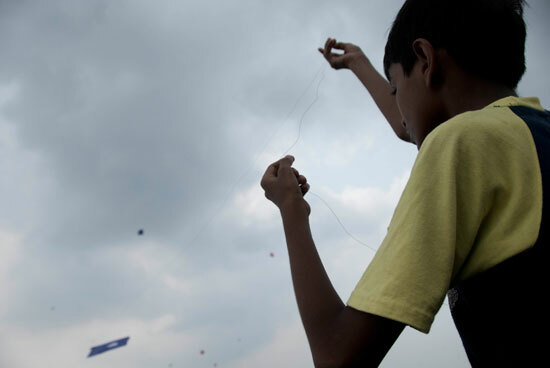 The string attached to kites are coated with powdered glass, which enables them to cut other kites. 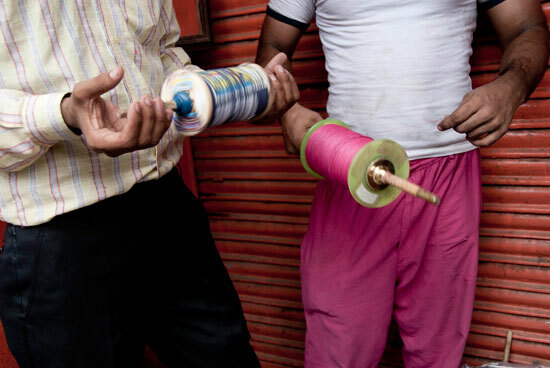 Across Old Delhi, shops specialize in the ‘manjha’ that the string is called.